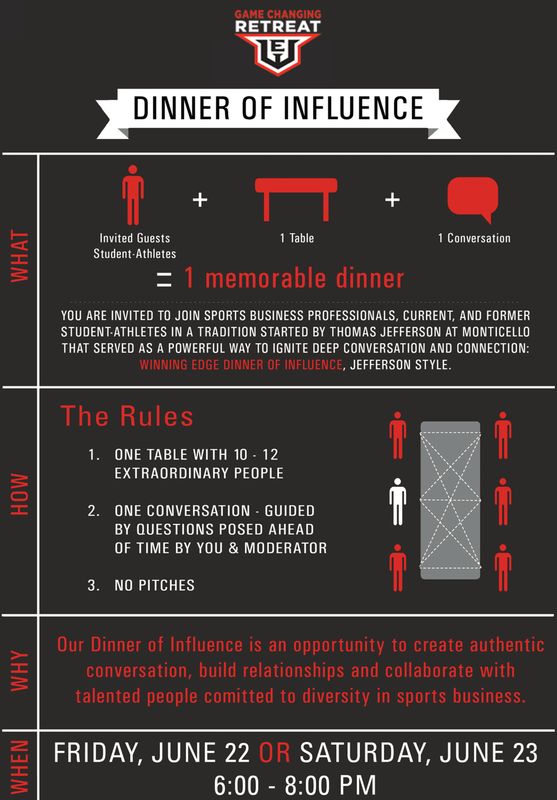 what is a dinner of influence? Our Dinners of Influence are set up as a Jeffersonian Dinner. Dinners of Influence follow in the tradition of President Thomas Jefferson who gathered leaders with diverse opinions to share in their common humanity over dinner. Participants will be selected from their responses to topic-specific prompts sent ahead of events. Industry veterans break bread with students and young professionals discussing trends and influencing the next generation of leaders in sports business.